Welcome to Liberty Christian School and thank you for your interest! 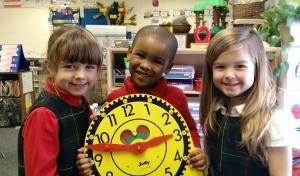 We are honored that you are considering placing your child at Liberty Christian School. Please complete and print the following application forms and submit them to our Admissions Office. Additional documents also need to be collected before we can process your application. The application fee is $150 for the first child in the family and $100 for each sibling. If at any time you have questions, please contact the Admissions Facilitator, Sonya Corum, at 410-655-5527 or by email at corums@libertychristian.us. Please mail or deliver all completed forms and records with the non-refundable application fee of $150 to Liberty Christian School,11303 Liberty Road, Owings Mills, MD 21117. The Admissions Review Committee will review the information and recommend the next step. Following review of all application forms and records, a standardized test may be administered to prospective students. Our Admissions Facilitator will contact you to schedule testing. Following the student testing, the school administration will review the test scores and recommend the next step. If an interview is granted, you will be contacted by the Admissions Facilitator to schedule a parent interview with the administrator. Incoming Middle School students will also be asked to attend the interview.